Deep inky in color with a purplish rim. Sweet fruity nose with black currants, blackberries, sweet cherries, dried figs, raisins, vanilla, cedar, leather, chocolates, tobacco, licorice, alcohol, peppercorn, spices and mocha. Full bodied, bold, jammy and syrupy, with medium plus acidity and long long legs. Extremely fruity on the palate with blackberries, black currants, sweet plums, cherries, figs, licorice, vanilla, spices, earth, wood, cloves, leather, tobacco, pencil lead and peppercorn. Nice length on the finish with soft tannins and tangy raspberries. 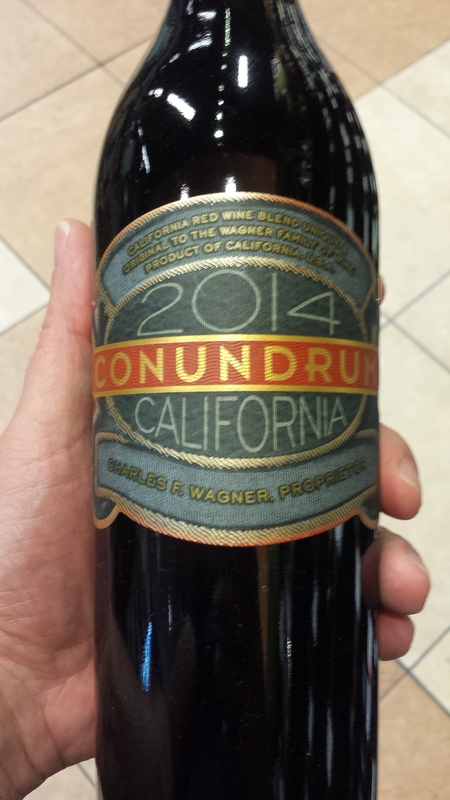 A Great red blend from California, well balanced with a nice mouthfeel. Features nice complexity, a bit jammy, and better when a little chilled. Good right out of the bottle, but evolved some in the glass. Good party wine or just to sip on. A Teeth staining red wine. Another great wine from the Wagner family. Pleasurable and delicious.